The index opened flat to positive around 8605 and saw huge short covering to close the day near the highs at 8672.15, gain of 80.00 points. The broader market was negative with 771 advances to 816 declines. Range stays at 8400-9000. 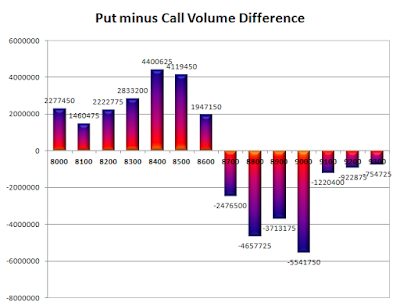 Call option 9300 added 0.41 lacs OI with short covering at 8700 and below strike prices. 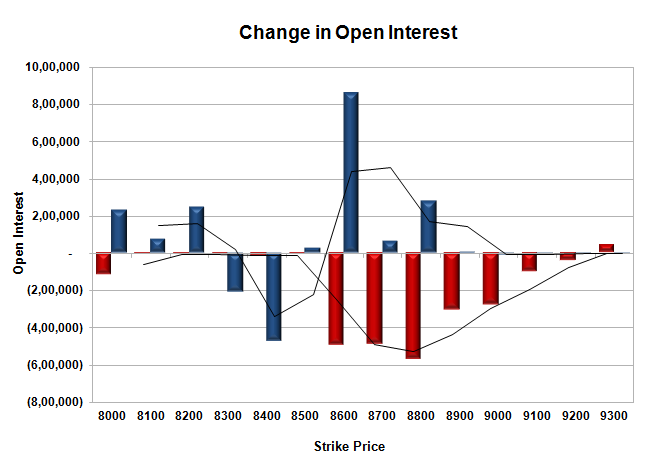 Put option 8800-8500, 8200-8000 added 17.80 lacs OI with profit booking at 8400-8300 strike prices. 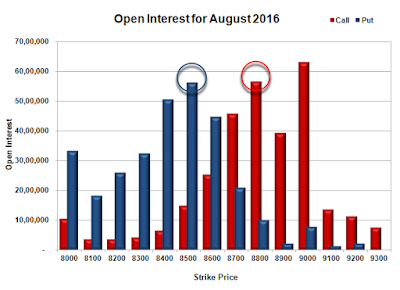 Nifty Open Interest is at 2,46,33,900 down by 8,75,700, with increase in price, most probably huge short covering. 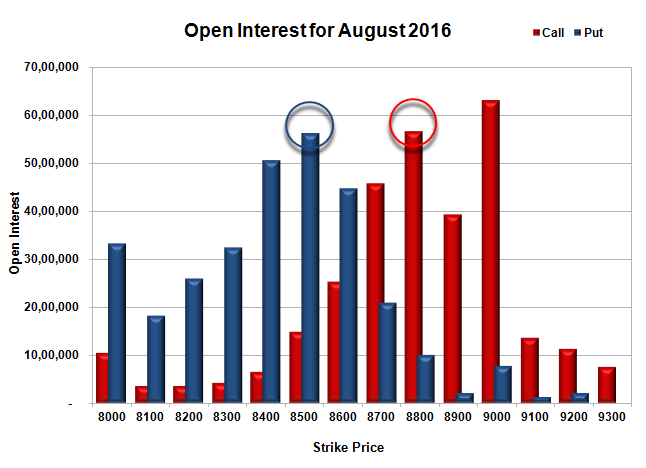 Bank Nifty Open Interest is at 18,22,560 up by 1,12,240, with increase in price, most probably long build-up. FII’s sold 2535 contracts of Index Futures, which includes net 5244 contracts long liquidation and 2709 contracts short covering, with decrease in net OI by 7953 contracts, includes 27598 longs to 30133 shorts for the day. FII’s Index future open contract as on date is 293850 Longs to 40738 Shorts, Net long 253112 contracts. Initial support at 8600, with OI of 44.76 lacs and below that at 8500 with OI of 56.17 lacs. 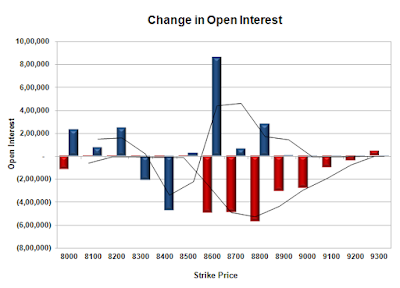 Initial resistance at 8700, with OI of 45.72 lacs and above that at 8800 with OI of 56.69 lacs. Day Range as per Option Table is 8595 - 8721 and as per VIX is 8610 - 8735 with 8654 as the Pivot.